For a trouble-free move, count on our Redondo Beach movers! Our professionally-trained student-athlete movers are ready to get you into your new home quickly and efficiently. Southern California is known for its warm, sandy beaches. Redondo Beach is the epitome of this image. While the beach is popular with tourists, Redondo Beach also has plenty to offer to those looking for a more permanent home. Before making the transition to this sunny city, it is useful to understand what the city has to offer and how Redondo Beach movers facilitate an easy transition. Located in Los Angeles County, Redondo Beach is one of the three quintessential beach cities along the southern strip of California’s coastline. The city is a thriving beach community that attracts people from all walks of life. Life in Redondo Beach tends to be tied to the beach. The beach here is wide and sandy, offering ample space and easy access to the water. Surfing and beach volleyball are both very popular activities, especially in the summer. Redondo Beach has an impressive Municipal Pier, which anchors the business district. Redondo Beach also features a portion of the Strand, which is a beachside trail that spans several beach communities along California’s southern bay. The residential areas of town are well-developed, and there are several distinct neighborhoods for newcomers to consider. Life in Redondo Beach is relaxed. Moving, however, can be quite a stressful event. To minimize the burden, Redondo Beach movers are a smart choice. Meathead Movers has over fifteen years of experience and is well equipped to handle any type of moving job, whether it be local, long-distance, or commercial. Our skilled employees can help pack, load, and transport your belongings. We have completed moves of all sizes and distances and can even be hired for commercial moves and storage needs. To better serve clients, we can organize moves any day of the week and provide superior customer service. We also offer our distinctive moving concierge service, which connects you with local service providers. 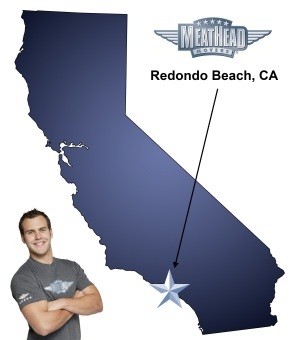 While many Redondo Beach movers may boast of similar services, Meathead Movers stands apart thanks to its unparalleled commitment to excellence. We start by hiring only the best employees and by recruiting mostly student-athletes. These employees are then thoroughly trained and held to high standards on the job. All Meathead employees abstain from drugs and smoking. As an added bonus, our movers will even jog while not carrying anything saving our clients time and money. Redondo Beach can be a wonderful place to call home. For Redondo Beach movers to help make that happen, contact Meathead Movers and get a free moving quote. With our 100% satisfaction guarantee, the only thing you have to lose is the stress that comes from moving! Moving to Redondo Beach? Here are some helpful resources. View more Redondo Beach resources. These guys hustled you would not believe. Great communications. Great customer service. Very professional.